Announcing: KoopaTV Loyalty Rewards Program Round 17! And then, like Round 11 a year ago, there will also be a raffle ticket system where a randomly-selected person will win a $10 Amazon.com code! (Randomly selected in the, “the more points you earn, the more raffle tickets you get” sense.) For more details and rules, check out the KoopaTV Loyalty Rewards Program information page. These Amazon codes were generously (or ungenerously for the non-$25 amounts) donated to KoopaTV by people who love us. Thank you for the adoration, folks! We hope to keep serving great content to make you happy. Your participation in KoopaTV is enough to make us happy, though loosening your wallets doesn't hurt. Every article on our website is worth reading. That's a given. Vampires vs. Werewolves?! Splatoon 2 Halloween Splatfest! — Why you should choose Team Vampires over Team Werewolves. Change and Transitions. Hard! AIM and Wii U to Discord and Switch! — Change management is a real field, and technological laggards have real suffering. The NeoGAF Liberation! Right or Wrong, NeoGAF is Ruined! — Popular and awful gaming forum NeoGAF, an enemy of KoopaTV, has been defeated due to dubious allegations on its founder. Do the ends justify the means? It’s time to boycott KoopaTV, and join the Odyssey! — A guest article written by someone who appears to have been captured by Cappy... hence that awful article title. I didn't forget that this Top 5 now has descriptions attached to each item, as of last month! I think it's a good feature. New KoopaTV Feedback Form and Quiz! You would do well for yourself if you went over to the KoopaTV Feedback Forms and Quizzes section of the website and had some fun with KoopaTV Feedback Form Part XIII and KoopaTV Quiz XIII. They're brand-new! Typos on Nowi's part aside, he's correct that I failed to update that section for months, mostly because I forgot that I was supposed to. My bad! After THIS article is published with Round 17's formal announcement, that section will be updated, believe me. ...At least nothing was EDITORIALLY incorrect. I have reclassified the Fighting Fascism In Our World and The Game Industry and Fascists Gotta Go Fast articles from the General category to Gaming Commentary, since modern-day classification standards put any article about NeoGAF as gaming-related. 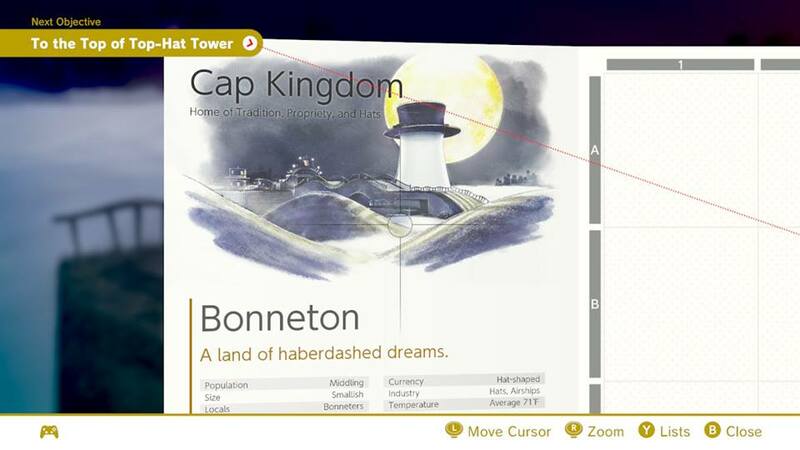 I also updated the Top 5-recommended article on Michael Jackson from above to use the term “Bonneters” to refer to locals from the Cap Kingdom, as opposed to obtuse phrases like “A Cap Kingdom entity”, “Cappy's species”, “Cap Kingdom natives” and the like. The locals are called Bonneters, for the main city of the Cap Kingdom is Bonneton. It's... probably likely that we will get all of the Miiverse embeds converted into .png screenshots before it closes next week. KoopaTV Is Now On Discord! This announcement is more of an internal revolution than something that affects you, though it does change the formatting of the Reaction Logs a bit. As I wrote about in October, AOL Instant Messenger is closing in December. We've had Wendy O. Koopa telling us for a while now that we should move to Discord, though we've ignored her until now, since now we actually have an urgent reason to move. As a result, you can see that we've had a rare event during this month: Five KoopaTV staffers on a Reaction Log simultaneously! Being on a messaging platform that people on the staff actually WANT to be on may improve staff collaboration and morale, which may trickle-down to an even higher-quality KoopaTV. Stay tuned for more. By the way, the Discord server may directly affect you if you want some of it public. Head up to KoopaTV Feedback Form Part XIII, linked-to in this newsletter, to offer up your feedback on that. Read last month's newsletter for September 2017 here. Round 17 of the KoopaTV Loyalty Rewards Program is getting intense... that and more in KoopaTV's November 2017 newsletter! The October 2016 (that's last year) review newsletter may be read here. Round 11 of the KoopaTV Loyalty Rewards Program was announced here. October 2018's newsletter (next year) is a big deal. Read it here. To raise the stakes, if I come in second or third place this round, I'll give up my reward to the person in first. I accept your challenge. I didn't feel like going for first last time. ...I read this as "Ludwig e-mail me my code already, you're late."